While Western medicine has made great progress in helping women and men with infertility/fertility issues, traditional Chinese medicine (TCM) and acupuncture offer many procedures for assisting with conception, pregnancy, and even problems encountered during labor. TCM describes the reproductive system as a network of energy systems with related organs and metabolic and hormonal activity. This network responds to stress, chemicals, lack of exercise, poor diet and excess emotions all of which can put the body out of balance. Through TCM an individualized program of herbs, acupuncture, diet and lifestyle changes can be recommended to help restore the balance needed for successful conception and a comfortable pregnancy. 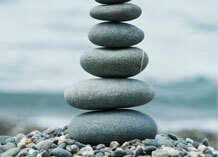 Stress reduction - balancing the sympathetic nervous system. Strengthened immune system - naturally corrects immunological markers. Regulates fertility hormones - influences the source of women's ovulatory and fertility hormones, and creates better egg quality. Assists with successful IVF - increased blood flow creates a thicker and more regular uterine lining and improves ovarian response. Decreases the change of miscarriage - relaxed uterus increases uterine blood flow, increases the immune system, regulates hormones and decreases stress. Helps fertility issues for men - improves sperm count, motility, and morphology. A study published in the medical journal Fertility and Sterility found that acupuncture dramatically improves the chances of becoming pregnant when used in conjunction with other assisted reproductive techniques. Paulus W., et. al., influence of acupuncture on pregnancy rate in patients who undergo assisted reproduction therapy. Fertility and Sterility, volume 77, April 2002, 721-724. 5 Ways Acupuncture Can Boost Fertility, Prevention.com, 2002. How Acupuncture Enhances Fertility, Robin Hays, LAc, DNBAO., OMD, & Nancy Rakela, OMD, LAc.